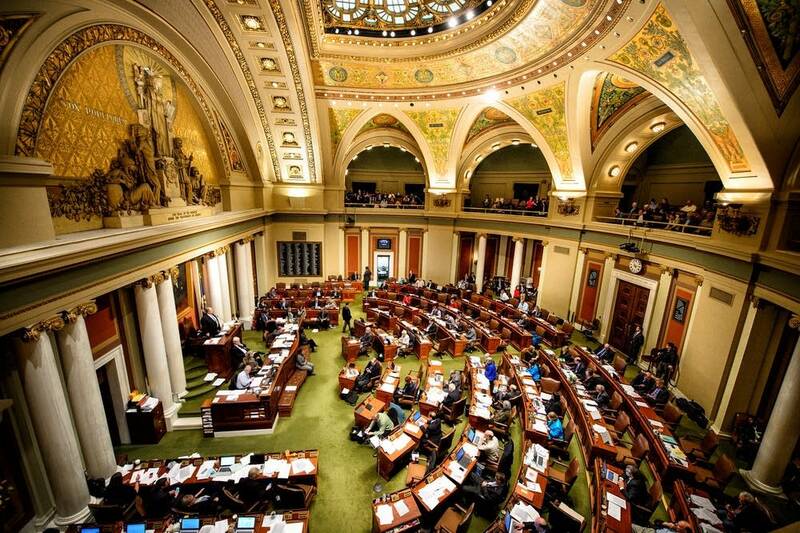 What should Minnesota do with its budget surplus? As we reported on the show last week, state officials project Minnesota will have a $1.5 billion dollar budget surplus over the next two years. We asked Minnesotans to submit their ideas on what should be done with the money and vote on the best ones. Political reporter Briana Bierschbach joined Angela Davis to look at the likelihood of those ideas and what they might look like if implemented. How much money is it really? That $1.5 billion represents only about 3 percent of the two-year general fund budget — currently the budget is around $48 billion but could grow to about $50 billion. And while that might seems like a lot of money, many of the programs the surplus could go to are very expensive. K-12 education is one of Minnesota's most costly pieces of the budget with $18 billion — or 41 percent of the budget — going toward it every two years. Most of the surplus is one-time money. It isn't coming from an ongoing change, it's the result of certain programs not costing as much as previously projected or revenues coming in higher than expected. So, it's not going to be a sustaining portion of the budget, which makes it harder for legislators to use it towards permanent change. Could it go back to taxpayers? The state budget is largely made up from tax money collected from Minnesota residents and giving some of that money back is not unheard of. During his tenure as governor from 1999 to 2003, Jesse Ventura persuaded the Legislature to cut car license tab fees and rebate nearly $2 billion to taxpayers spread out over a couple of years. The average rebate received by taxpayers was around $600. Many Democrats have now called that decision a shortsighted policy, which made the state less equipped to deal with budget deficits in years to come. There are a little under 6 million people living in Minnesota, and while not everyone is a taxpayer and so would not receive a check, if you divided the surplus up to all citizens each individual would get less than $300. Instead of going the rebate route, lawmakers on both sides are looking at more targeted tax cuts. Some Republicans are showing interest in getting rid of the tax on social security. Targeted income tax cuts and child care credits have also been suggested. Could it go toward social services? Legislators will be looking at things like the education gap, wealth disparity and homelessness when creating the budget, but there is sure to be disagreement about where the money should go in order to fix these problems. There is going to be a new affordable housing committee in the state House and Gov.-elect Tim Walz has mentioned housing as one of the things he wants to focus on in the budget. Could it go toward infrastructure? Funds for repairing roads and bridges is separate from the state budget, however, some Republican see the surplus as a way to put some one-time money into transportation projects. But Democrats, including Walz, have proposed a gas tax increase instead, arguing that just using the surplus won't be enough. Could we just save it? Lawmakers do have the option to bank the surplus. Minnesota currently has a historically large rainy day fund — with over $2 billion in the budget reserve. But a word of caution: By law you can't include the cost of inflation into the budget. Some lawmakers have pointed out that with inflation the surplus really only amounts to about $300 million. To listen to the full conversation by using the audio player above.